Digital Reprographic Solutions, PrintDRS, is proud to introduce custom full color Feature Signs. This impressive, affordable and durable product will impress your customers and make your competitors jealous. 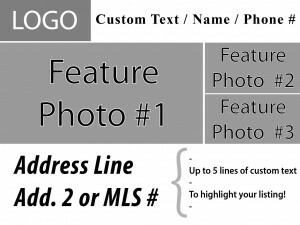 For print ready art work you can display a double-sided full color Feature Sign on the lawn of your business, work site, real estate listing or roadside for under $20.00! 1. Email your print ready artwork in 300dpi or higher to [email protected]. 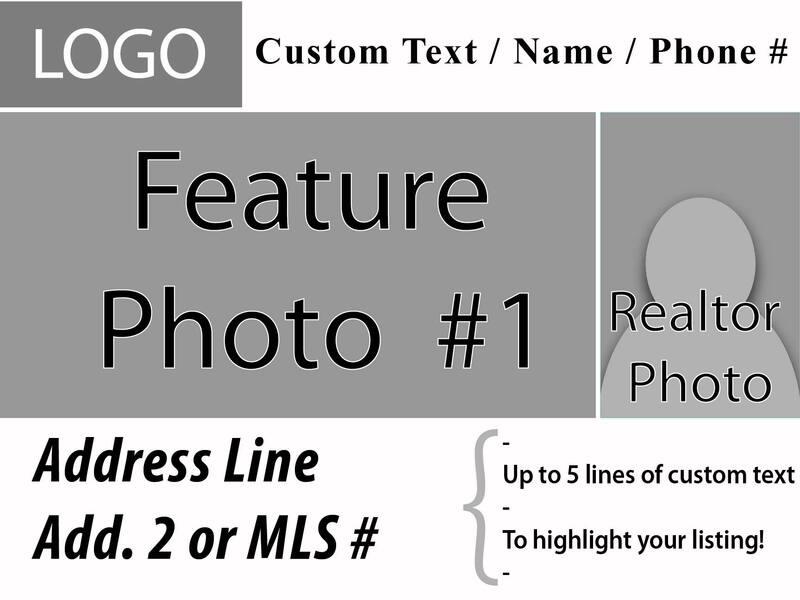 Include in the email: quantity; pick up or delivery; and requested date for completion. 2. Our team will confirm your order request and provide a PROOF with a price quote and estimated time of completion for approval. 3. Upon confirmation of your proof and order via email, and we go to print, IN HOUSE! 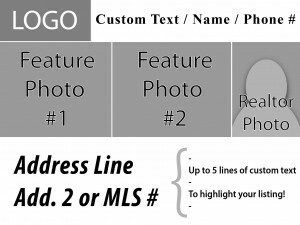 No problem, below are 5 Layout Options to choose from. 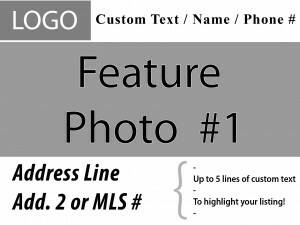 To use a Template Layout Option simply email [email protected] with your Layout Option, attach the relevant images to the Layout you selected and identify which photo will be featured where. 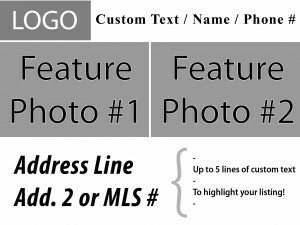 Include all relevant custom text as stated below. Our team at PrintDRS will provide you with a proof for your review. We can custom design your Feature Sign, call for a custom quote. Each additional sign of the same design is $17.50, including re-orders! Need additional customization’s? No problem, $4.95 for each proof edit. Or Submit your Order Via the Form Below with your PRINT READY ARTWORK. Read our blog on Feature Signs. See a sign in action. 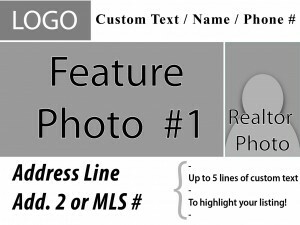 Realtor Sue went with her own design and submitted print ready artwork!